C4096A (HP 96A) HP LaserJet 2100 Toner Cartridge - Compatible with HP LaserJet 2100, 2100M, 2100se, 2100TN, 2100xu, 2200d, 2200dn, 2200dt, 2200dtn (HP C4096A) Remanufactured. 5,000 Yield, Black Toner Cartridge. The HP compatible LaserJet C4096A toner is a one-part print cartridge. The HP LaserJet 2100 toner cartridge features true 1200-dpi quality for optimal printing of text and graphics. 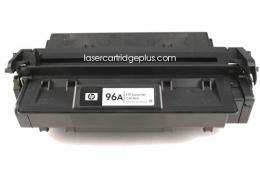 HP 96A toner is easy to use: by design there are no messes or hassles.